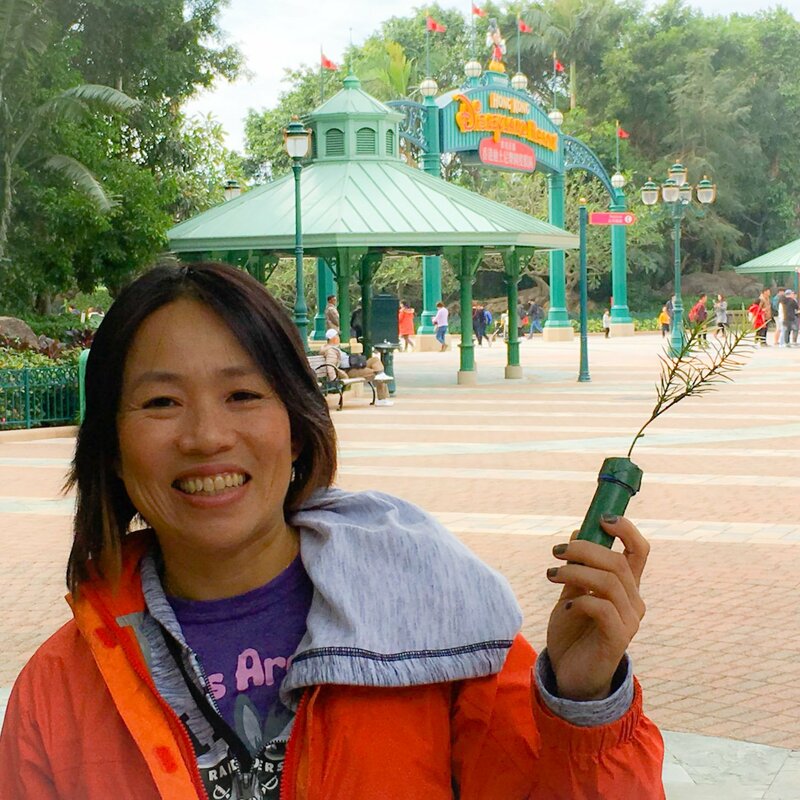 Chasing Happily Ever After: Hong Kong Disneyland – Where's JWo? I have been in love with Disneyland since I can remember. When I was a little girl, I would read about the Happiest Place on Earth in Disney magazines my dad brought home. He had a stash of unused ride tickets I would pull out and admire every now and then while asking him to explain the meaning of the different letters on each one. I would even ask him to recount time and again how Tinkerbell would fly down from Sleeping Beauty’s Castle during the fireworks show every night. Since then, I have been fortunate enough to visit multiple Disney parks around the world thanks to my awesome best friend, (Disney World twice) and my loving boyfriend who is incredibly accepting of my obsession. 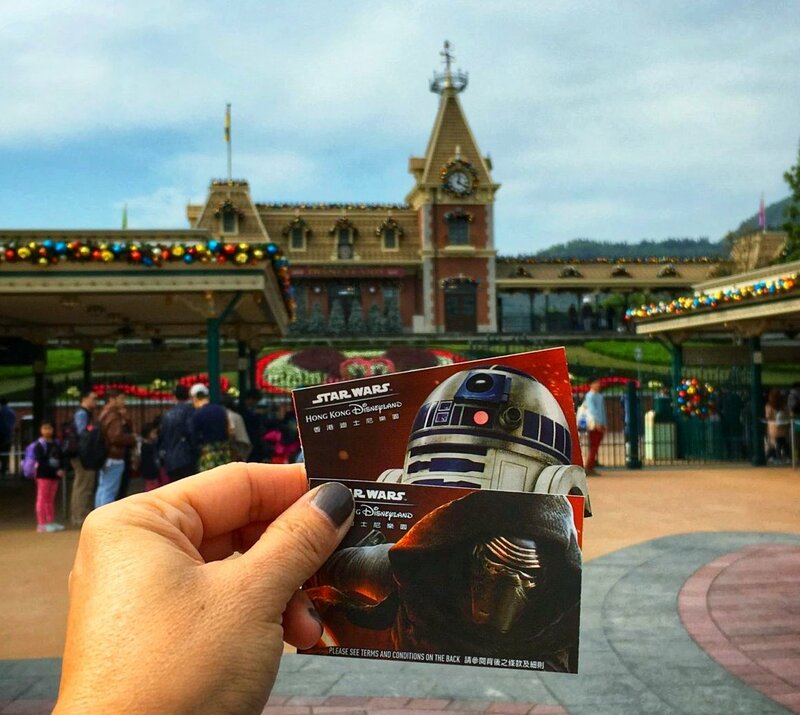 Big or small, every park has its own magic. 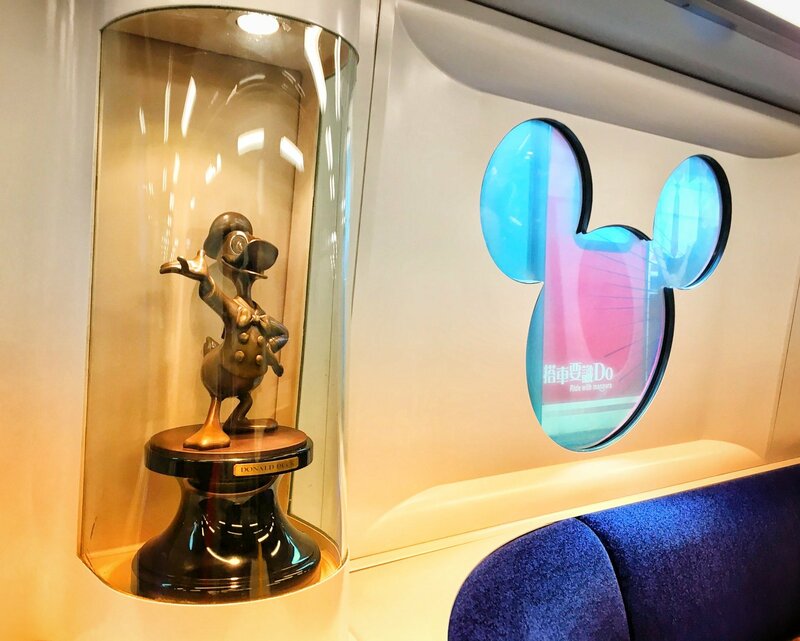 Hong Kong Disneyland is no exception. Hard to believe it was almost a year ago that I visited. Because the park is on Lantau Island, we had to board a train to transport us from the Central District of Hong Kong. This wasn’t half bad given the last leg of our journey was on a completely Mickeyed out train. If only all trains were this cute. By far the smallest Disney park I have visited, we got through it in less than half a day. This includes the half hour I spent looking for GC6JMR0 (A Train Station Just for a Mouse). Thankfully, the cache was in between the train station and the park entrance. so we didn’t have to go out of our way. Jay, who from now on will be referred to as the GEO at his request, was very patient and helpful while I was waiting for my geosenses to kick in. 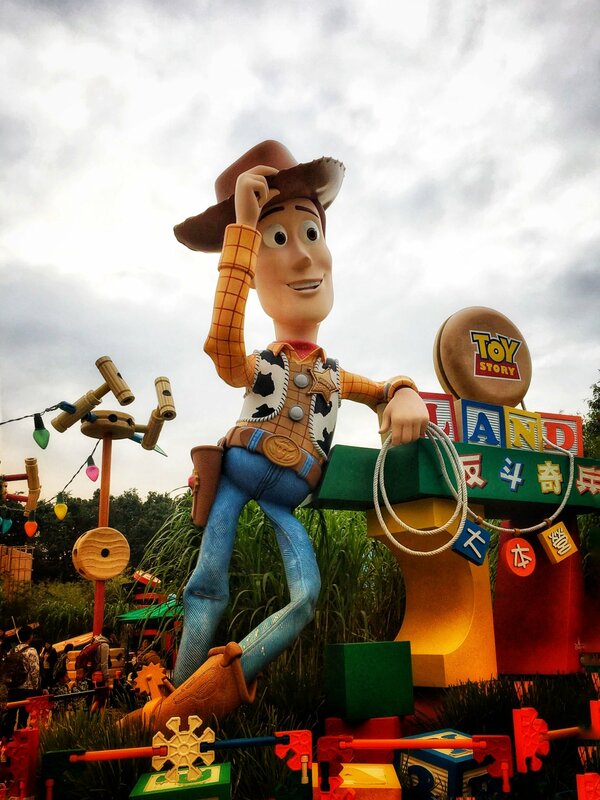 I had heard differing opinions about Hong Kong Disneyland so I wasn’t sure what to expect. However, I did not let that deter my excitement. I couldn’t wait to check out the unique rides and exotic food offerings. Rumor had it there was a mango Dole Whip, but try as I might I could not locate the vendor. Much of the park concessions seemed to be shut down for the winter (which is still really warm, even for someone from California.) 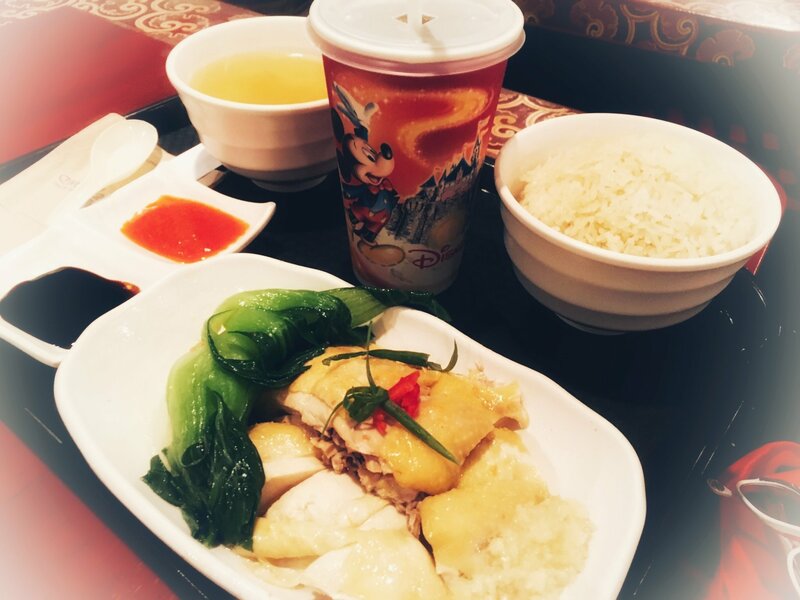 There was an assortment of Asian dishes available in the Royal Banquet Hall so I opted for the Hainan Chicken rice plate just so I could break to my friends who are big fans of it! Many of the staple attractions, like Pirates of the Caribbean or Peter Pan, are not available here. 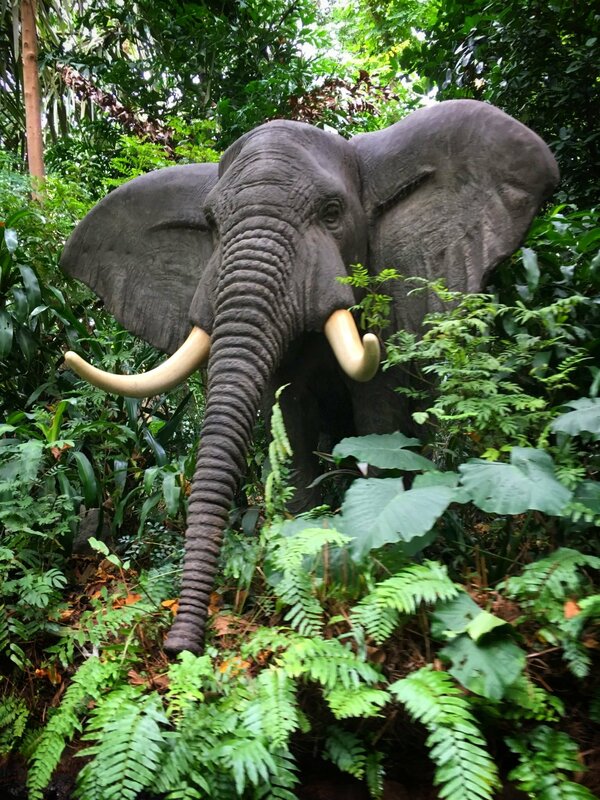 But this park did have one of my favorite oldies but goodies, the Jungle Cruise, offered in three languages. I was looking forward to taking the ride in Cantonese. I know, you are all surprised that I can understand Cantonese, right? The GEO was quite the trooper and went along with it, despite the staff trying to steer us into the English line which we protested profusely. The added pyrotechnics made this excursion much more exhilarating and should be considered as an addition to the cruise in Anaheim. 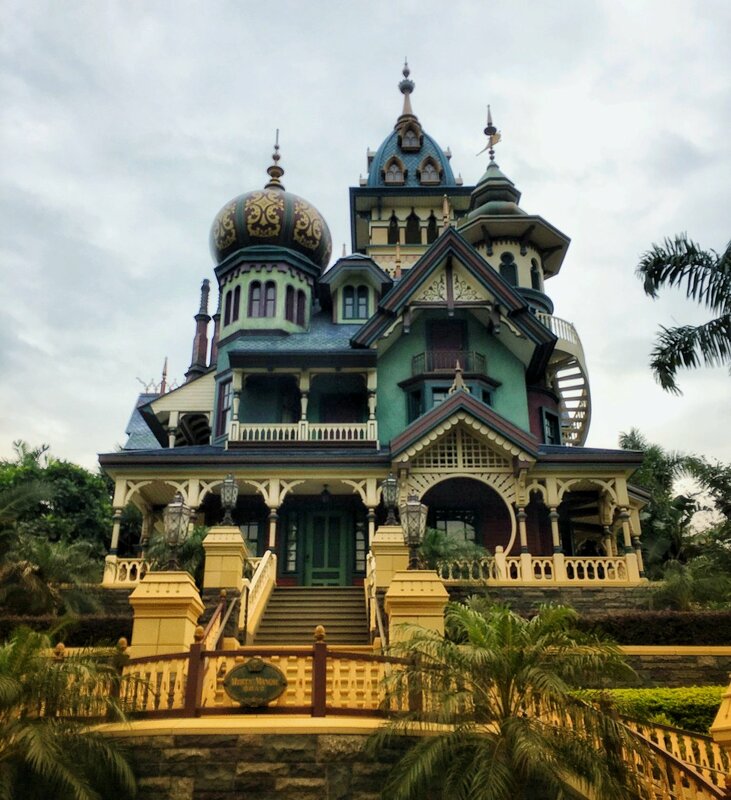 Mystic Manor is a one of a kind a fast-moving wild ride through a doomed collector’s house full of haunted artifacts. We kept running into a mischievous monkey a reminiscent of his creepy cousin found in the Stephen King short story. This is nothing at all like the Haunted Mansion as it is faster and more thrilling with a clear story line. 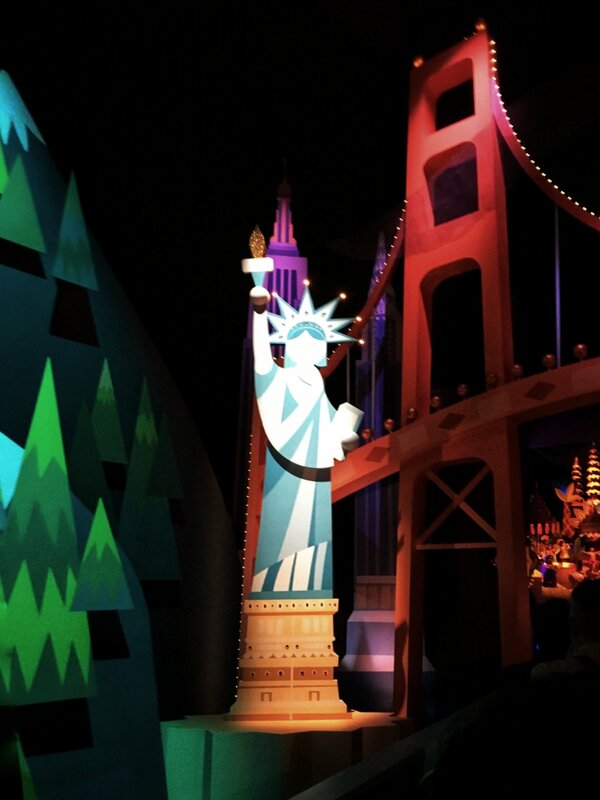 It’s a Small World is always a must no matter how mundane it might seem. Nice to see both coasts of the United States well represented. Whenever possible, I like to experience a show. Not only is Festival of the Lion King a great spectacle, it offers a nice break from walking and an escape from the elements. 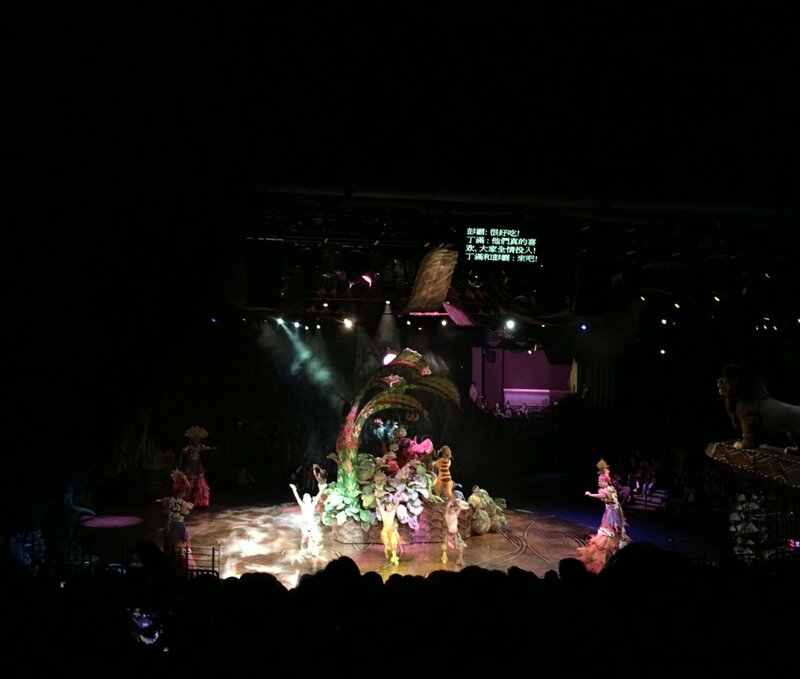 The show is a perfect mix of comedy, song, and dance. I thought it gave the audience a good feel for the stylings of the Broadway musical. Throughout the park, there were no lines to speak of except at the Parachute Jump in Toy Story Land. This land consists of an over the top display of classic toys on steroids. Currently unavailable in the United States, I read online that Toy Story Land is going to open up at Disney World in 2018. My only regret of the day was missing out on the brand new Iron Man ride. I had no idea that “soft opening” meant the ride would close hours before the rest of the park. It had shut its doors mere minutes before we walked up. Needless to say, I was distraught and still blame myself to this day for being such a novice. But I learned my lesson. From now on, I will prioritize and focus on hitting the big ticket items first!! I didn’t stay for any fireworks because the show was still hours away and we had exhausted all of the rides already. While not my favorite of the parks, I would definitely come back for a few hours to take in a couple of attractions and see the fireworks. I will be chasing happily ever afters to Paris next month and will fill you in when I get back!